Starting from the month of April, I am going to do a new series, wherein each month I feature an interview with people from around the world – who may be a home-maker, a traveler, a blogger, or a biker or a painter or a potter or an entrepreneur or a writer or just about anyone who have chosen to follow their bliss against all odds. Their interview will inspire us and motivate us to continue to strive and explore and try out new things or just excel in whatever we put our minds to do. It is trying to find out the other side of the success story of people. 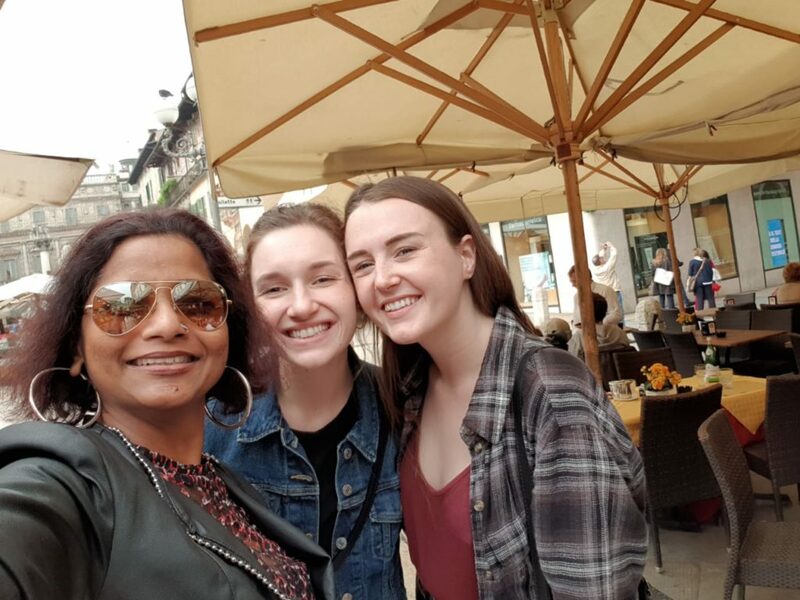 I have been longing to do this interview with my friend Jyoti since the last several months, and it’s only now that I have finally got down to doing it. 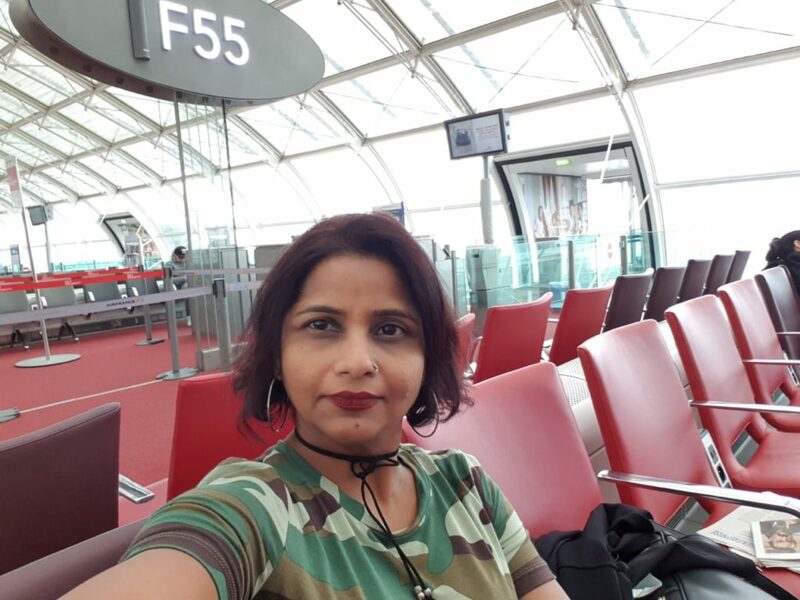 So here goes, my very first interview with Jyoti Nayak; I hope you enjoy my interview with her and draw inspiration from her, just as I have. Hello Maria, It’s great to be sharing space with you on your website: Travel Bliss! As you and many of our mutual friends would know, I am Jyoti Nayak. I am 48 years old, working as a State Tax Officer in the Goods and Service Tax Department in India. I am happily married 🙂 with a beautiful 22 year old daughter! My hobbies include: Doing workout, traveling, riding a bike and Half Marathon Running! Wow Jyoti that is truly awesome! 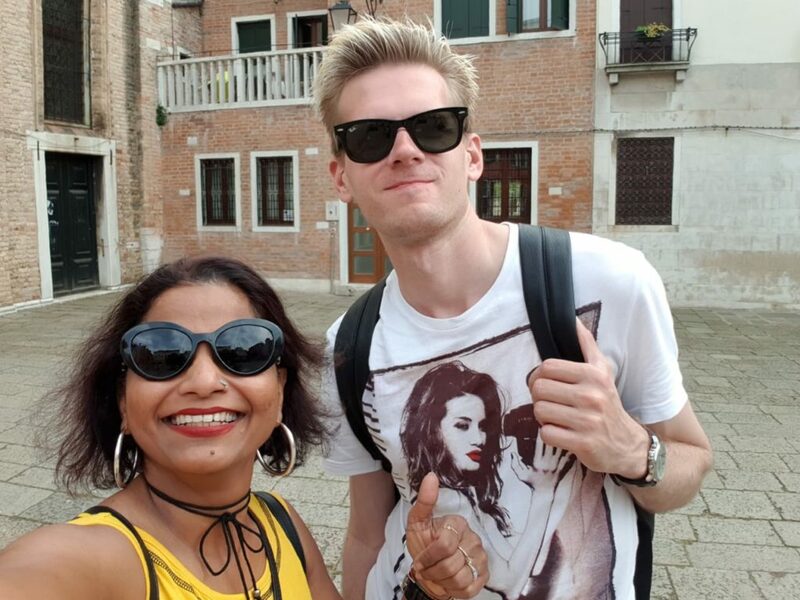 I learnt that you had been on a solo 28 day tour from India to Italy recently in 2018. What inspired you to travel alone? 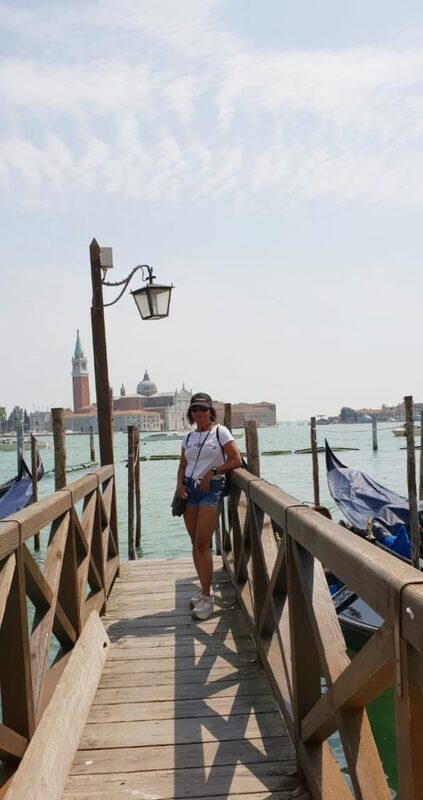 Yes, I did a solo 28 day tour to Italy in May 2018. Before that, in the year 2015, I had traveled to Europe for 9 days, through a reputed Travel & Tourism Company. That was a good tour, but it was a blink-and-you-miss-it kind of experience. You don’t get to explore the country as a traveler, but become a mere tourist. However, when you travel solo or on your own, you become more vigilant and alert and are more open to having new experiences. You get an opportunity and tend to interact with more people, other than your own group. When you travel with a group, you have to follow group decisions, which sometimes you might not agree to. So I thought why not travel solo this time. However, before doing my solo International trip, I did do a solo trip to Pondicherry, which is in India, for 4 days. 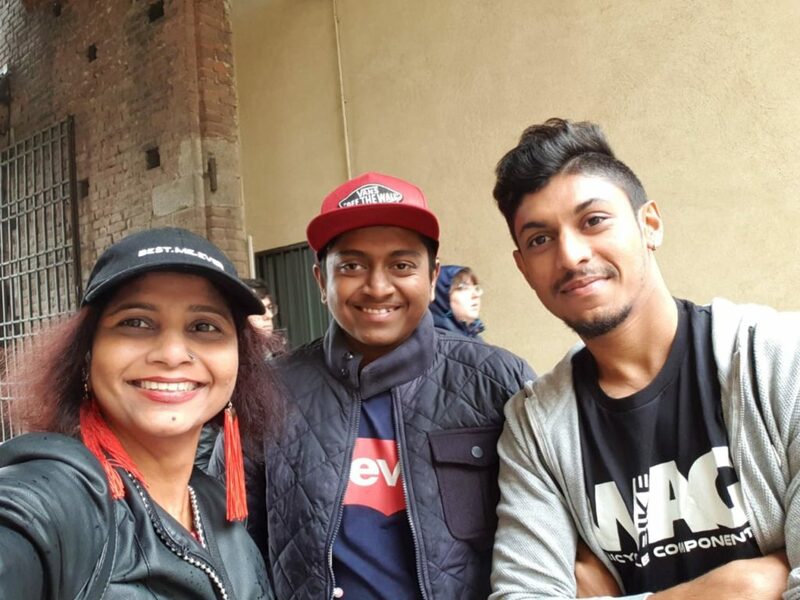 My main aim while doing this solo trip to Italy was to meet people and interact with them, rather than visiting historical places and monuments. So on my first ever solo trip, I kept a lot of flexibility in my traveling plan. So how was your experience if you could sum it up in 5 words? Did you face any challenges / difficulties during your solo trip? 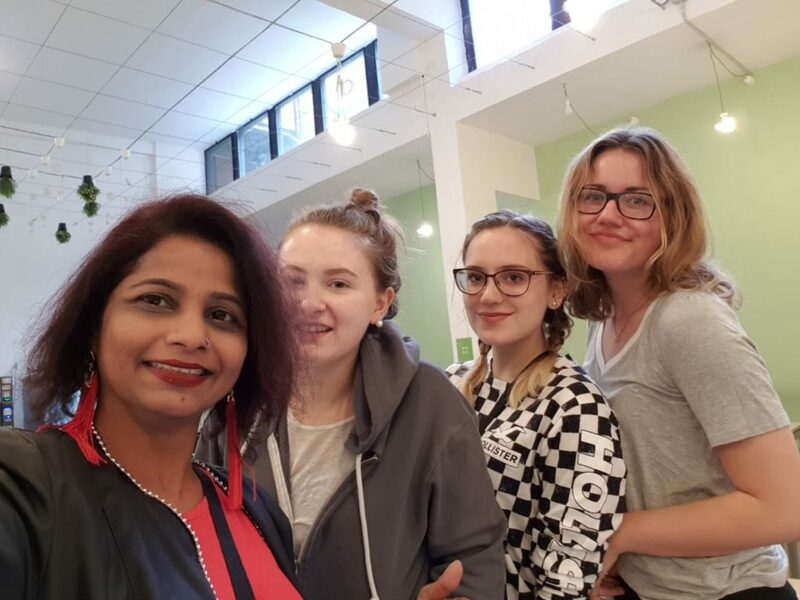 Yes, I had a connecting flight from Paris to Italy and I missed my connecting flight from Charles de Gaulle Airport! It did rattle me for a while and I was a bit shaken, especially since it was my first ever solo trip and for such a thing to happen on the very second leg of my travel! But I managed to hop on the next connecting flight from Paris and everything was fine! When you have missed your connecting flight on your first ever solo trip! Any one lesson or travel moment you will not forget? Well, I did face two situations which are unforgettable, wouldn’t it call it a lesson though. In one instance, I was sitting in front of a restaurant in Pompeii, so that I could use their Wi-Fi facility and was chatting with my family and friends on Whatsapp. There were many people around me, who kind of misunderstood my intentions and started making unpleasant gestures. I don’t know what they were thinking about me, but it dawned on me that whatever it was they were thinking, I was not the person who they were thinking! Having realized that, my many years of life experience made me ignore them and laughed it away and took it as another life experience. Then again, one night when I was walking on the footpath, one car with 4 kids inside suddenly stopped and they started talking to me. Soon I realized that their intentions were not proper, so I stopped talking to them and headed straight for my hostel. How did you plan your entire trip on your own? Well, I was a History Student and studied Unification of Italy and was fascinated by the Geography of Italy. I just opened the map of Italy on Google and started planning my trip from the North of Italy i.e. from Milan city from there onwards towards the South of Italy : Verona, Venice, Florence, Assisi, Pompeii, Amalfi Coast, Capri, Sicily and Sardinia. What are your other passions other than travelling? 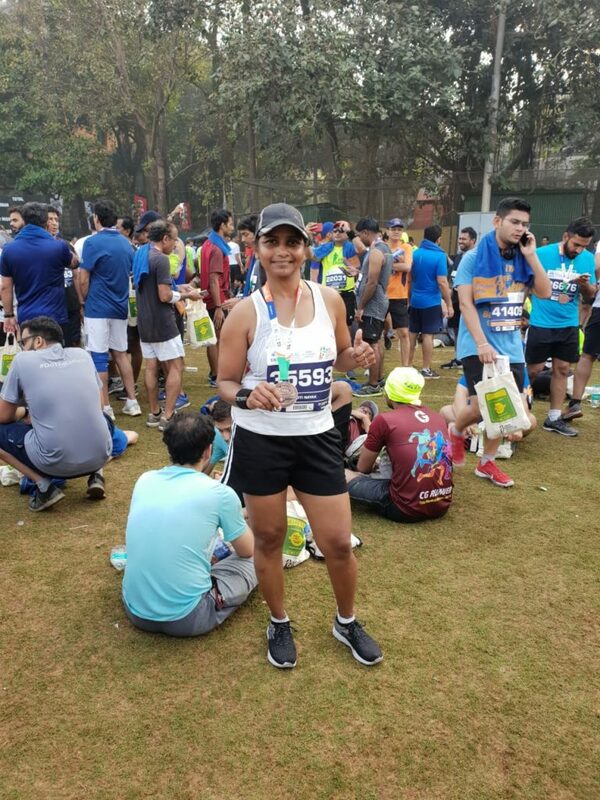 I am a fitness freak and a Half Marathon Runner. Now days I have started riding a bike too! You are truly amazing Jyoti! How do you manage to be this Wonder Woman? Juggling between work, family, travels, social life and pursuing your passions? Now I have reached at that point of life, where I have little time and so many things to do. At home I give quality time to my daughter whenever possible. I follow a disciplined life style, so I get sufficient time to do things like going to the Gym, running and riding a bike. But yeah, sometimes it does get tiresome; so on that day I do nothing, absolutely nothing! My husband, my maid and my friends are all my pillars of strength. They are my support system, which helps me get everything managed. Any words of wisdom / advice to all the women out there? Keep yourself fit and follow your dreams, JUST DO IT. There are no such things as impossible. Try to learn new things, meet new people, be open to new experiences and it will keep you young forever. What is your idea of Bliss? Are you following your Bliss? My idea of bliss is my Instinct, my intuition which guides me to do certain things at a certain time. I find myself very fortunate and privileged and blessed that I have a good family, sound financials and great health and that I am constantly guided by an inner voice, an inner feeling within me, which tells me what to do at a particular time and I follow my bliss, by listening to my instinct and following my intuition. 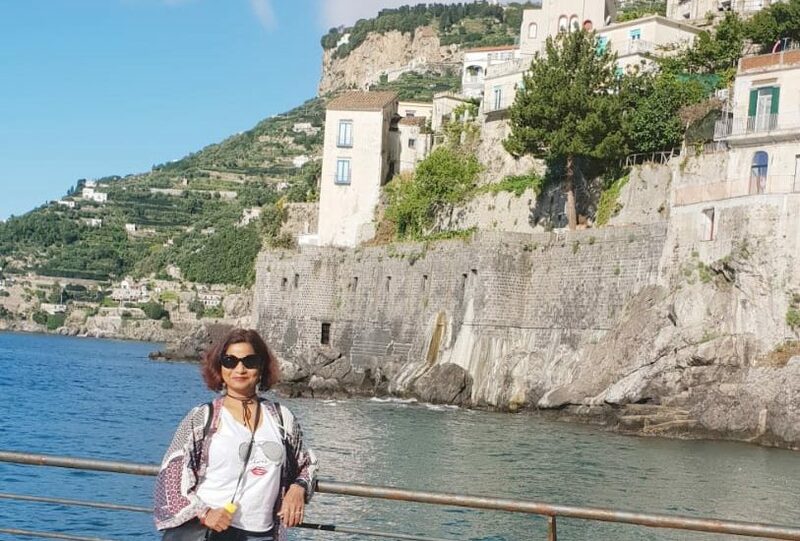 Thank you Jyoti for taking time out and agreeing to do this interview with me and sharing with all our readers about your amazing solo trip to Italy and the life lessons learnt. I am sure that you will inspire many others out there to follow their dreams and JUST DO IT. This awesome advice is of course applicable to everyone out there 🙂 I wish you all the very best in everything that you do and sincerely hope that you continue to follow your bliss. This blog post contains one affiliate link, which means that if you click on a link within the blog and make a purchase, I will earn a small referral fee at no extra cost to you. Wow..Maria, you expressed my thoughts and feelings in exact manner.Thanks for giving me the opportunity of your first ever interviewer of ur blog series. All the Best dear. Wow jyo it’s amazing and this thing you only can do ,alone 28 days trip !!! The pleasure is all mine Jyoti 🙂 I loved every bit of doing it. All the very best to you too! Well written. Keep going, this is good work. Wow Gal…. U r An inspiration…!! Nice going ज्योती… Good to get the opportunity to follow your target without worrying about GST. Just kidding…. Good place to visit .. especially with the intention you have.. Keep it up n keep us pisted..